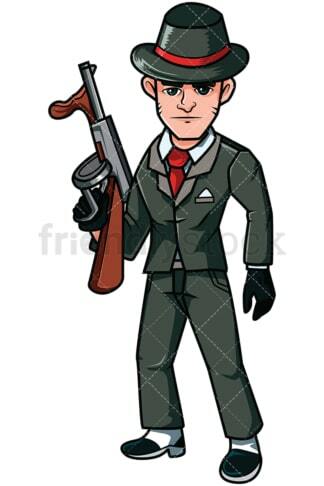 Royalty-free stock illustration of a member of the mob with some marks on his face, dressed in an expensive suit and wearing a hat and a tie, holding a machine gun. 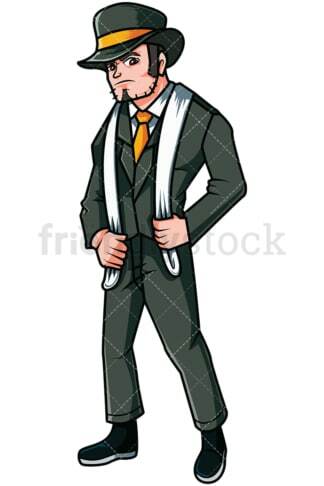 Royalty-free stock illustration of a mobster dressed in a suit and wearing a hat and a white scarf around his neck, looking serious and dangerous. 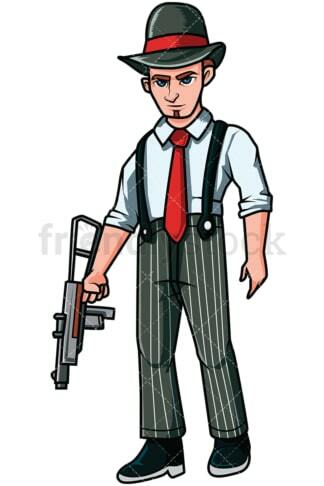 Royalty-free stock illustration of a member of the Italian mob dressed in a formal shirt and suspenders, wearing a hat, and holding a submachine gun. 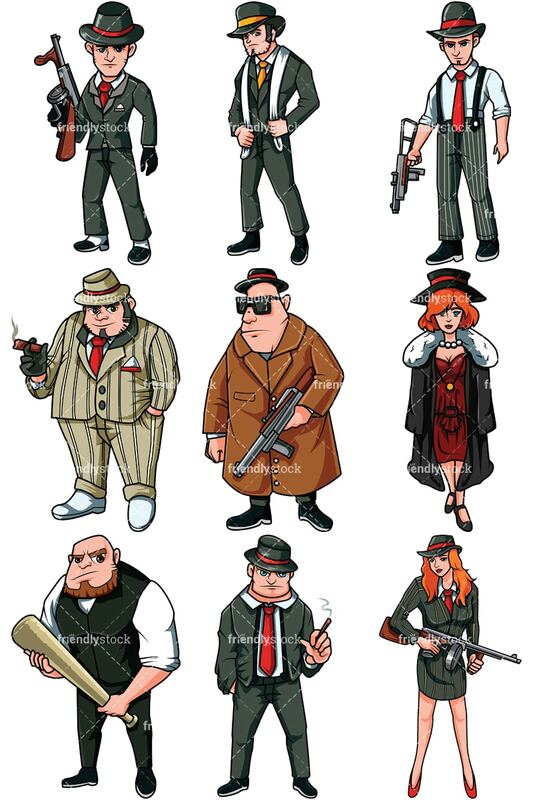 Royalty-free stock illustration of a hitman of the Russian mob, wearing sunglasses, a hat, a coat, and holding an automatic gun. Royalty-free stock illustration of a bulky mobster with shaved hair and a beard, looking angry and holding a baseball bat, ready to get into trouble! 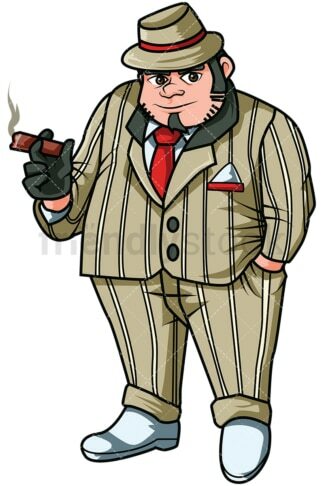 Royalty-free stock illustration of a Russian mafia gangster dressed in a suit and a tie, wearing a hat, and holding a cigarette while his other hand is in his pocket. Royalty-free stock illustration of a tall Russian woman that is a member of the Mafia, dressed formally, wearing a hat, and holding an automatic weapon.